Yao Zhao Hailed in the New York Concert Review as “a superb cellist with intense and sensuous sound,” and described by the Los Angeles Times as “being able to handle the most intricate musical works with unblinking ease and expressive zeal,” Mr. Yao Zhao performs with a rare and captivating dynamism that has already secured him a successful career as an artist. Yao Zhao, principal cello of the San Diego Symphony, is one of the youngest Chinese principal cellists of a major symphony orchestra in the world. Zhao also dedicates himself to the education of youth in the arts by teaching at the Idyllwild Arts, and Idyllwild Arts Summer Festival, where he is an alumnus. 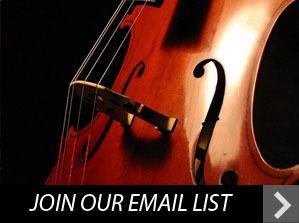 Since winning a top prize of the First Chinese National Cello Competition in 1987, Mr. Zhao has been a finalist in more than a dozen competitions, awards and honors. Zhao is a busy musician, performing more than one hundred and seventy concerts per season at renowned concert halls in more than 40 cities around the world. Some of these have included Konzarthaus in Vienna, KKL in Lucerne, Gasteig in Munich, Alte Oper in Frankfurt, Esplanade in Singapore, the Hollywood Bowl, and the Walt Disney Concert Hall in Los Angeles. He has frequently been invited to perform with the Singapore Symphony Orchestra, the Fort Worth Symphony, the Los Angeles Philharmonic, the Los Angeles Opera, and the Shanghai Festival Orchestra. Some of his summer festival appearances have included the Grand Teton Festival and the Ojai Music Festival and the Asia Philharmonic Orchestra in Korea and Japan. His successful solo debut at the Weil Recital Hall at Carnegie Hall is one of his career highlights. His achievements and generous contributions to music performance and education have been recognized and highly commended by the City of Los Angeles. 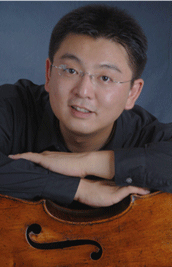 Born in Beijing, Mr. Zhao began his studies on the cello and piano at the age of four under the instruction of his father, a distinguished cellist. He made his first concert appearance at the age of five, and solo debut in the Beijing Concert Hall at age nine. That same year, he was also accepted to the China Central Conservatory of Music. Mr. Zhao was personally chosen by the renowned pedagogue Professor Eleonore Schoenfeld to venture to the United States and continue his education on full scholarships at the Idyllwild Arts Academy and the Thornton School of Music at the University of Southern California in 1991. Mr. Zhao is an artist under the Asia Pacific Arts Management Ltd.